County-wide Meeting – Monday, October 30th! If you want to take a stand supporting important issues like healthcare, both K-12 and higher education, income inequality, clean air and water, better jobs, social injustice, and threats to the Constitution, plan to attend a meeting Monday October 30 at 6:00 p.m. in the Bland Building at Bourbon County Park. If you have joined a group like Indivisible Bourbon County or Indivisible Bluegrass, Together We Will, The People’s Campaign, or if you just find yourself opposing most of the policies, regulations (and DE-regulation) put forth by both our current national and state administrations, plan to attend this meeting. 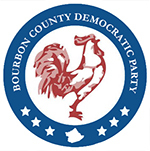 The Executive Committee of Bourbon County Democrats, led by Chairman Mark Offutt, is host for this gathering with support from members of other non-partisan groups that care about these issues. Guest speakers will be Mary Nishimuta, L. Clark Williams, Kristin Glenn Pack, and Jane Wilson Eller. Named Executive Director of the Kentucky Democratic party in April 2017, Mary Nishimuta was involved with grassroots organizing in the Bernie Sanders campaign, worked with his field staff in Kentucky, and was a delegate to the Democratic National Convention. She stated her goal is “to work with Kentuckians in all 120 counties to build a strong party that stands up for the people of Kentucky…fuse the passion and organizing strength of those who have recently answered the call to action with the deep experience of those who have been actively engaged for years to build a truly representative government that puts the people’s interests first, and not the interests of the wealthiest one percent.”(KDP press release April 2017) She brings exactly the message we need for exciting and energizing Bourbon County voters. This group sponsored the August event “Chaos or Community” held at the Lyric Theater with the goal of spurring action to bring our communities closer together through shared effort and action. It featured many progressive speakers and was very well-attended. Attendees established “caucuses” in the areas of healthcare, k-12 education, business, safe communities, and faith. They seek to shape policy priorities, recommend endorsements and help to develop campaign messaging. Kristin Glenn Pack will represent Our Revolution, the local branch of a national movement that promotes democracy for the people of Kentucky by supporting progressive leaders and issues. She will inform attendees about the issues her group is most concerned about and explain how they can get involved. 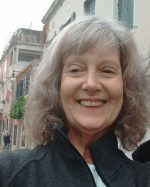 Representing Indivisible Bluegrass will be Jane Wilson Eller, who will introduce attendees to a new initiative for promoting conversations in our community around issues that affect us all. Obviously, the theme of the meeting on Oct. 30 is “Let’s Work Together,” and that is a goal we all seek: to make our communities stronger and better through shared effort and action. Plan to BE THERE: October 30 at 6:00 p.m. at the Bland Building in Bourbon County Park. The Bland Building is directly across the gravel road from the main park building (Legion Hall).